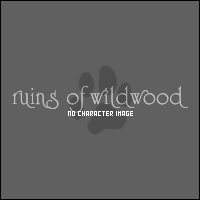 This weekend, I wrote a farewell message to the site announcing that Ruins of Wildwood would be closing. My activity as an administrator has been poor for a very long time, and I've struggled to find the motivation to actively post. There's a lot of reasons for that, but after a lot of reflection, it's clear to me that if things stay the way they are, that motivation isn't likely to come back. I've struggled a long time with guilt, because RoW has been such a big part of my life for so long and I feel like I have been letting down the site with my lack of interest. This was a decision that I struggled with, because I love this community and don't want to risk losing it by shutting down the board. I had absolutely no idea when I first started the site 9 years ago with Tara and Rachel that it would grow to such an extent. The richness of the community and the creativity of your characters and plots are truly what has made this game incredible. After sleeping on it and further discussing my decision with our staff team, a different option was brought up and that's what I'd like to discuss with all of you as a way to continue to keep RoW open. Fundamentally, what we're proposing is a fresh start to RoW. 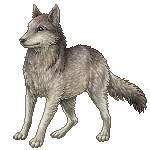 The basic premise of the game will remain the same: a realistic wolf RPG that is largely driven by member plots. But we want to change up the setting and give everyone a chance to start fresh with new characters, or bring over your current ones if you'd like. This won't be a time jump, a revamping of the current territories, or some mega destructive plot that forces all the existing characters to move. We're simply going to close the current chapter of RoW, and start writing a new one. Why do we want to do this? To be honest, it's because I think we made a pretty big mistake when originally conceptualizing what the map of Relic Lore looked like. When the site first opened, the only territories that existed were on the ones on the west side of Serpent's Pass. 5 years ago, we expanded the map eastward (and then northward a few years ago). The problem is that there's a massive mountain range that splits Relic Lore in half, which consequently can make it especially difficult for wolves living on the different sides to interact with one another. That can limit who you're able to RP with and your plot opportunities. Besides the IC relocation, we also want to simplify and streamline different aspects of the game that result in large maintenance requests for staff. Namely, we'd like to get rid of the Life Point system or at least streamline it way down. Along with it, we'll say farewell to our fight system. And probably a few other things in efforts to reduce the overall maintenance overhead that the game requires so we (the staff team) can focus our time on posting. There's a lot of details that would need to be worked out, but before we decide to move forward, we wanted to bring this proposal to our members and get your feedback. We want to know if this idea appeals to you, and if it does, would you continue to RP here? Are there other things you would like to see revisited as a part of this fresh start? What questions do you have? If you're not interested, we want to know that as well. Please let us know by replying to this thread. Hey y'all, sorry for the essay but I thought I'd give my thoughts! I'm all for streamlining and making ROW easier to run! I know that with how complex everything is behind the scenes that it takes a lot of time and effort to pull the strings to make sure that everything works okay, so I'm all for making the staff/ mods job easier! And admittedly, the site has been very quiet for the past few months which has in turn caused my activity to plummet as well. I feel like maybe turning over a new page would be a great way of getting everyone back in the grove, if they are still interesting in RPing here that is. I'll have to think about it myself as there are a few issues I'm concerned about, and depending on how it's handled I might follow or not. Which isn't to say I'll throw a tantrum if it's not but... Uhh, trying to think of the best way to explain it. Fresh starts can be very good as I've said, can give room for new creativity and plot lines etc etc. But say a novel I was working on somehow got deleted,then I wouldn't want to start it again due to the feeling of wasted effort. If that makes sense? I've worked really hard on Kana, on making him strong and developing him as a character but throwing everything away like that feels like a disservice to all the effort I've made. I'd be frustrated that he'd once again be new and fresh, like the 2 years I spent working on him meant nothing at all in the end. Furthermore, a lot of folks on this site have spent money, time and effort on creating art for their packs, characters and ect, so would it be possible to move these assets over? I love the fact people are so passionate about this site to spend real life wonga and it'd be a damn shame if they could no longer use it. I'm not the best at articulating my thoughts so if anyone has anything else to build upon/ or to counter my points feel free to! I'm just really glad we all care about this site enough to put it up to discussion yanno? Can't wait to see what everyone else things, Lil Al out! I’d just like to say that, although we don’t have anything pinned down specifically, we don’t want to completely wipe what has happened in Relic Lore. It would be a new start in a new place and people could bring their existing characters along with their rich histories. As such, if we are moving to a new setting there would probably be a process in place if people would like to move their packs. I’m definitely open to that. I’m sure all the assets can be moved. Also for the foreseeable future this forum will not be going anywhere and people will not lose access to their content and work. I'm going to do my best to hold off on replying again until more people have had a chance to weigh in, but just wanted to address some of Alice's concerns as I imagine they will be common ones for other people. (Feb 04, 2019, 05:39 PM)Askan Wrote: I've worked really hard on Kana, on making him strong and developing him as a character but throwing everything away like that feels like a disservice to all the effort I've made. I'd be frustrated that he'd once again be new and fresh, like the 2 years I spent working on him meant nothing at all in the end. The idea is that you could move your characters directly over from the current site. It would be on you to determine why Askan (or any character) decided to leave Relic Lore and go to this other place. But the idea is not to wipe away their histories/connections/etc. If we have a system similar to Life Points on the new site, we would come up with a way to transfer some of that over as well. Quote: Furthermore, a lot of folks on this site have spent money, time and effort on creating art for their packs, characters and ect, so would it be possible to move these assets over? I love the fact people are so passionate about this site to spend real life wonga and it'd be a damn shame if they could no longer use it. I don't see a reason why you wouldn't be able to move over those assets. I imagine the packs might not be exactly the same, so that's the only one that would be a little bit harder. But things like skins, avatars, tables, etc. should all be moveable, although depending on if we decide to overhaul the layout/design of the site as a part of the fresh start, the code might need some tweaking. Re packs: We honestly haven't spent a ton of time thinking out the mechanics of how that would work. But I at least wouldn't be opposed to allowing some of our current packs to move over if they so chose provided people want to continue to RP the same characters/packs. A lot of our packs are currently pretty inactive though, so a total restart would give us the opportunity to shake this up a bit, even if a few of them do migrate over. Having been on this site for so many years, I struggled with the thought of completely leaving full time as I have thought about it a few times especially within the last year with my new business I have. However, I couldn't imagine not speaking with you guys almost everyday at least and it really kept me determined to be as active as I could. These past months were definitely the slowest I've ever seen and I was disappointed in myself that I didn't have the motivation or time to try to improve that. My motivation, however, to write has improved this last week or so. Basically because more people are actually posting and I think if we have that clean slate territory it would completely improve everyone's muse. I am also very much for simplifying the fundamentals and staff responsibility. I miss seeing how active our staff used to be and I would love to see that weight lifted off your shoulders. I want to keep seeing this site thrive and welcome new members daily, so I think this is a very good idea that we should discuss and try to make happen. RoW holds a very special place in me that I don't want to give up any time soon. I haven't been part of RoW for very long. Vaken is my oldest character, and he just started to get interesting and developing plot lines involving the lore. His LP isn't high (not in comparison to other characters) but even I feel a little disappointed at the idea of starting completely new and throwing away his progress. With that in mind, I understand needing a change for the staff. This is meant to be a pleasurable hobby, and if any of the mods are feeling defeated or overworked- there should be changes made. I am thankful that staff is even considering ways to improve the site rather than end it all completely. I don't want anyone to feel guilty or stressed out from a wolf RPG. There are definitely changes that I support. Activity has dropped off, packs disbanded, and this would be a good opportunity for new members to join and old members to have new muse. Things have been crumbly (to say the least). 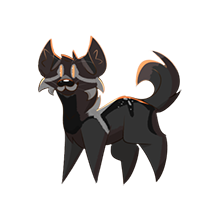 Originally, I was hoping to get Vaken into CAD as leader, but I am even more open to throwing him into a new map. It does open the possibilities. I believe the more active packs should be available to reroute in the new site, but there should be less of them. In my opinion, activity hasn't been strong enough for more than five. Keeping smaller, more active packs is essential. I hate to see them all falling apart. The map could use a revival. I'd be more than willing to offer my time and ideas to help staff if it was needed. I'm not good at coding, but if anyone needed my help with rewriting: I'm available! I know that reworking things for a new site would be time consuming, and I don’t want staff to have to do it alone. There are a few things that I am hesitant about. For example, I think the LP system is important. I understand adjusting the system, narrowing down the ways to get points, but I think there should still be something in play. Possibly remove the subcategories of skill, development and pack and have LP just be an umbrella term. Rather than claiming 20 points per finished thread, maybe only big events are claimable? Such as having offspring, becoming leader of a pack, winning a fight. Along with that, monster characters like Askan and Lachesis deserve their points. I would hate to see characters that have been developed not show anything for it and have to start fresh. If these characters came over to the new RP, I think there should be something in place to keep them valid and powerful. If Vaken challenged Askan, he shouldn't win. There are characters that have been developed and strengthened and they deserve their positions in the game. I do like the idea of their LP being transferred over. They should stay powerhouses. I understand wanting to get rid of the dice rolls. Usually, I don't follow the dice rolls move by move. I just use it to determine the winner. I am a little nervous to say get rid of it completely, because I think it might be more work in the long term. Sadly, people can get pretty touchy about their characters losing. If anything, I think a simpler form of LP should exist and be the sole determinant of who wins a fight. This wouldn't be as much work on the staff's side, but there would still be something so it isn't purely an OOC decision. Other than that, puppies. Would the new launch be after the spring? UPDATE: I really do hope that this change improves inactive members- but I feel like it's a bit optimistic. RoW stopped being fun to write for people because people stopped writing. It became a deadly cycle. Whether here or on another website, wolf RPing is wolf RPing. The people who try really hard to get open AW threads and keep pack involvement up are going to be active anywhere. I hope a new map inspires new creativity, but I can't help but feel like a bandaid is getting put over a bullet hole. Inactive members might become more active temporarily, but I don't think the map is completely to blame. The reason I'm saying this, is because I'm scared expectations are going to get set really high. I don't want people to join the new site and create packs just to become inactive again. It needs to be sustainable. I remember when I first joined RoW, an inexperienced 13 year old (oh boy, bless you all for putting up with me back then) new to the world of RPG. It was so easy to create characters and immerse myself in the fictional world rather than deal with what was going on around me, and that's really never changed... what has changed for me (and this might just be my perspective) is my inability to immerse my characters in the beautiful lands of RoW anymore. Over the years, I've noticed it's become more difficult for me to create new characters because of how so interconnected everything is. There's definitely nothing wrong with that, and it's been one of the best things about RoW at the same time... but a fresh start with fresh lands would give everyone the ability to start over if they so wished. It'd give me a chance to step back, look at my characters and things I wish had gone differently in their development, and change. I'm also definitely down for streamlining things to make it easier for the staff <3 It's not an easy job, and there's no reason to cause more stress than needed on the beautiful souls who run the site! My only concern is with Life Points - I feel like they've been such an instrumental guideline for the game since their introduction, and removing them might alter the game in a manner that's detrimental - LP is used for A LOT like determining whether or not a character is eligible to establish a pack, Lone Wolf pups, the fight system (which has been the backbone for fights since 2013ish - before the fight system, there were a lot of issues with Power Playing and trying to determine who the winner was when both sides wanted to win like when Elettra and Shade duked it out) and I'm not really sure that removing it entirely would be the best idea? I definitely thing that streamlining it would be better - maybe remove points for things like finishing threads, so you only get LP for major events that happen to your character like pups, mate, winning a fight (an actual fight, not spars), ect would make it easier? Check profile for preferences, Noemie can jump into any of my threads at any time. All for all of this. Just adding, I feel like reducing ACs to monthly would probably make things a lot more enjoyable too. I was considering holding off until my house is built to get back into rping, because there are going to be weeks where I’m absorbed with kids/house stuff, but if i knew i wasn’t on as much of a deadline, i’d probably spend less time stressing and more time posting. My main reason for suggesting reducing ACs is because 1- rp shouldn’t feel like work and thats exactly what it has felt like since about August for me. Half of the time I wouldn’t even owe enough replies to clear my leader checks and if I posted new starter AWs, they wouldn’t be replied to. It became a chore and not somethig i was willig to keep up with. 2- I find when I’m posting just to get through an AC I worry more about the number of replies I’m getting in over the quality of them, and I imagine I’m not the only one. A lot of us have been here for a looong time, and we’ve all grown up and our real life loads have shifted over the years. Evolving the site to match that shouldn’t be a scary thing.